Digvijay “Danny” Gaekwad is a first-generation American entrepreneur and community leader based in Ocala, FL. He is the Founder-CEO of NDS USA, an IT & Cloud Services company, and Danny G Management, which owns and operates various restaurants and hotels. In a business career spanning over three decades, Mr. Gaekwad has built over a dozen small- and medium-sized companies worth hundreds of millions of dollars, in diverse fields, such as Convenience stores, Real Estate development, Hospitality and Information Technology, among various other industries. Born in Baroda, a former princely state in western India, as the son of a Judge and grandson of a Colonel in the Indian Army, he graduated in Political Science from the prestigious Maharaja Sayajirao University of Baroda. He moved to the United States in 1987, after his marriage to Manisha Gaekwad. Mr. Gaekwad is a well-known community leader who is very active in local, state and national politics. He has been a steadfast champion of small businesses. He has also worked tirelessly to increase political participation among the Indian American community by recruiting and supporting candidates to run for offices at the grassroots, as well as state and national levels. He has founded or co-founded several organizations, including the India Association of Ocala, for which he also constructed a building. Mr. Gaekwad also helped construct the United Way building in Ocala. 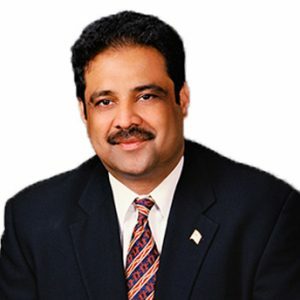 In 2018, Gaekwad was appointed by Florida Governor Rick Scott to serve on the University of Central Florida Board of Trustees. In the past three decades, Mr. Gaekwad has served on the boards of numerous public, private and nonprofit organizations. He is an Executive Board member of Enterprise Florida, Inc., a public-private partnership between Florida’s business and government leaders, since 2009. He also serves as an Executive Board member of Visit Florida, the official tourism marketing corporation of the state and on the Board of Directors for The Florida Chambers. Recently, he was appointed to the Transition Advisory Committee on the Economy by Governor-Elect Ron DeSantis. Mr. Gaekwad has been recognized at the local, state and national levels for his accomplishments in business, as well as for his community service, several times. Latest being awarded Person of the Year 2018 by Ocala Magazine. Following are some of the awards and recognitions he has won: Asian American Hotel Owners Association Chairman’s Award, “One Million Jobs” certificate of appreciation, Lion of the Year Award, Leaders Leader Award, Marion County, Pride of India Award 2017, Glorious India Chairman’s Award 2017 and National Federation of India American Association in Washington D.C. with the Business and Entrepreneurship in 2018.